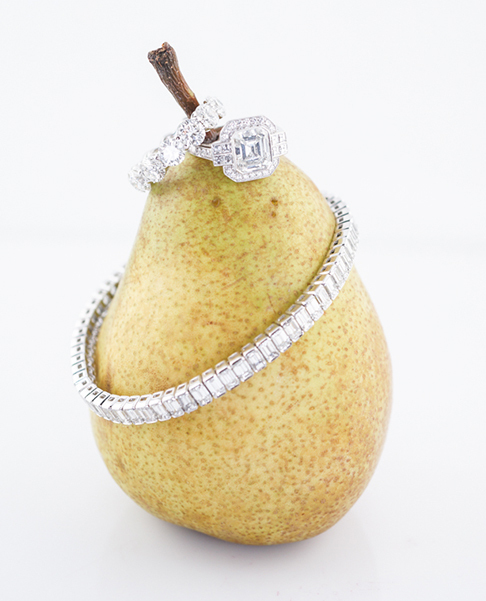 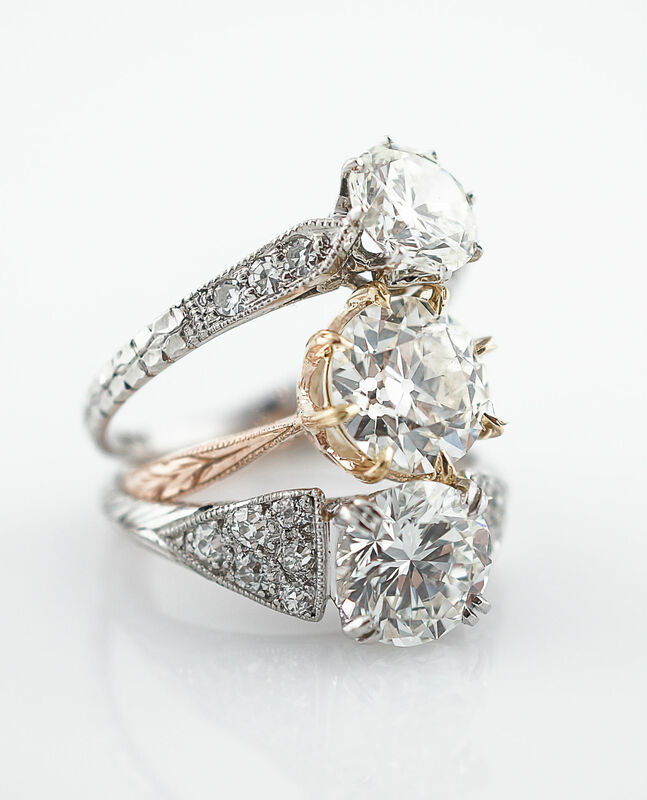 Add a diamond wedding band to your Vintage or Modern engagement ring for additional sparkle and luster! 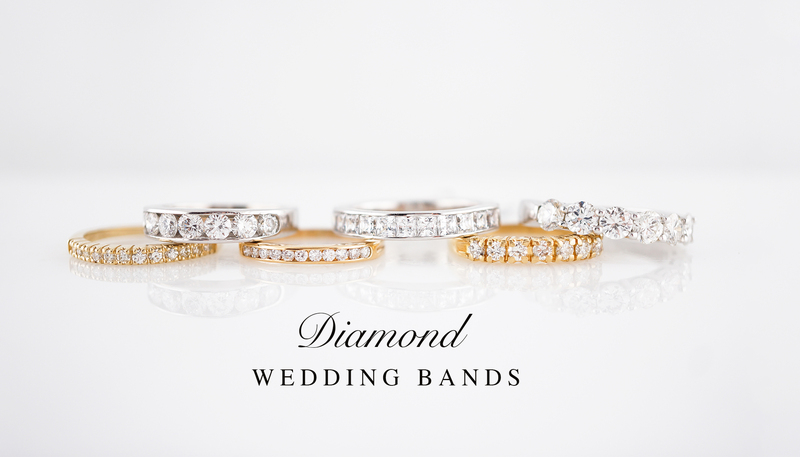 We have a large selection diamond wedding bands including Art Deco, Mid-Century and Modern options. 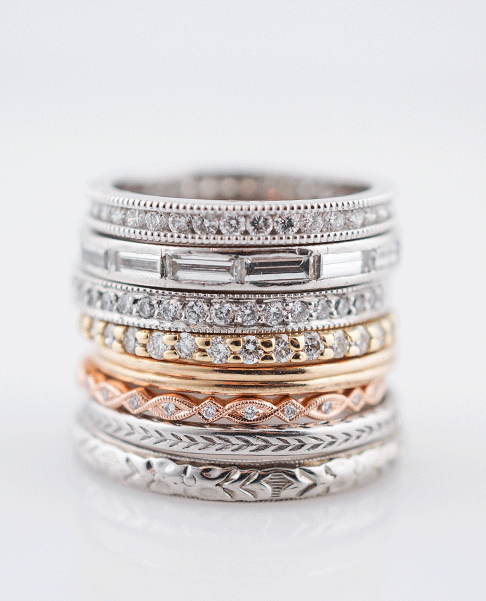 Create a stack to maximize your options!